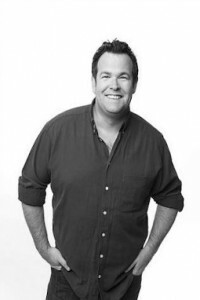 Typical Aussie and all round great bloke, Gus Worland is living the dream of every cricket tragic. He turned his passion for cricket into a reality when he co-created (with his best mate Hugh Jackman) and starred in Foxtel’s “An Aussie Goes” series. Proving his talents across all forms of media Worland took up the role of co-host of Triple M’s breakfast show, The Grill Team in 2009. In their first 2 years on air, The Grill Team doubled their ratings for this time slot and are more popular than ever. 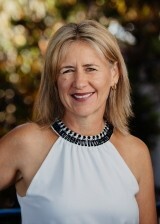 Worland was recently awarded Best On Air Newcomer at the 2010 Australian Commercial Radio Awards. Before Worland took to Breakfast radio, the first step in his rise to stardom was in 2006 when he made An Aussie Goes Barmy. His mission was to follow the Barmy Army from England to Australia for all 5 test matches. He infiltrated the group, found and be-friended the colourful characters and along with the audience discovered what makes these fans turn from everyday people into ranting, raving, singing lunatics. An Aussie Goes Barmy was so successful Foxtel immediately signed Worland up for his next hit, An Aussie Goes Bolly. In India Worland shared his journey as he braved the local vindaloo, shed a few kilos and experienced cricket through Indian eyes. Audiences lapped it up. An Aussie Goes Bolly was the second highest rated show ever on Foxtel. In the third installment of the series, Worland got his groove on in The West Indies for An Aussie Goes Calypso (Fox 8 December 08). Immediately slipping into calypso time he cleverly shows the burning desire behind the locals’ relaxed ‘ganga’ vibe. Gus travelled to Delhi with Foxtel to cover the 2010 Commonwealth Games and London with Foxtel in July 2012 to cover the London Olympics. In 2014 Gus starred in his own television series, Marathon Man, for Foxtel. Marathon Man follows his journey from being clinically obese to a lean, mean marathon machine; his goal, to compete in the New York Marathon. Outside of his radio commitments Gus can be seen in his new ABC TV series 'Man Up' which is an exploration of modern masculinity and men’s mental health issues - challenging masculine stereotypes, getting men better connected and breaking the silence around suicide. Worland is a 46 year old sporting tragic. He has been married for 14 years and has 3 kids. Women want him to meet their mothers, and blokes want to be him… Gus just wants to shout them all a beer.